You may have already made plans to meet up with your friends over brunch or check out a new market this weekend, but you might want to reconsider. 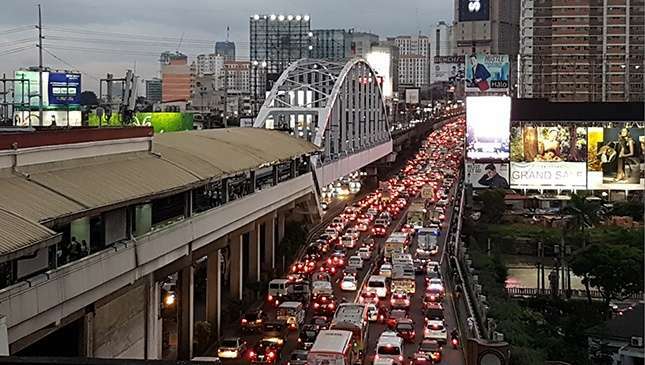 The Metro Manila Development Authority issued a traffic advisory today, May 25, as certain lanes around the metro will be closed to traffic due to the Department of Public Works and Highways' road repairs. Road reblocking runs from May 25, 11pm to May 28, 5am. So unless you want to spend hours stuck in bumper-to-bumper traffic, we recommend trying out being a home-buddy for the weekend. Maybe it's the perfect opportunity to catch up on your favorite TV show or marathon a few films?